Housing shortages, less disposable income and rising building costs—if there was ever a time to support affordable housing options, this is it! Henry Ford got it. Back in 1908, the Model T entered mass production, and for the first time, automobiles were produced quickly and at a price that people could afford. Houses haven’t been subject to the same treatment… until now. The housing market is finally getting its own ‘Model T’ moment. For the first time, the mass-production of houses in factories has achieved the kind of customization that will help it into the main stream. You see, the mass production of housing isn’t a new concept, but it usually meant that customers had no power to customize the house plans to suit their family’s needs. This prevented mass-production from gaining a foothold in the construction industry. Buying a home is the biggest investment most people will make. They want their home to be unique and to be tailored to their needs. They need flexibility and customization coupled with affordability. 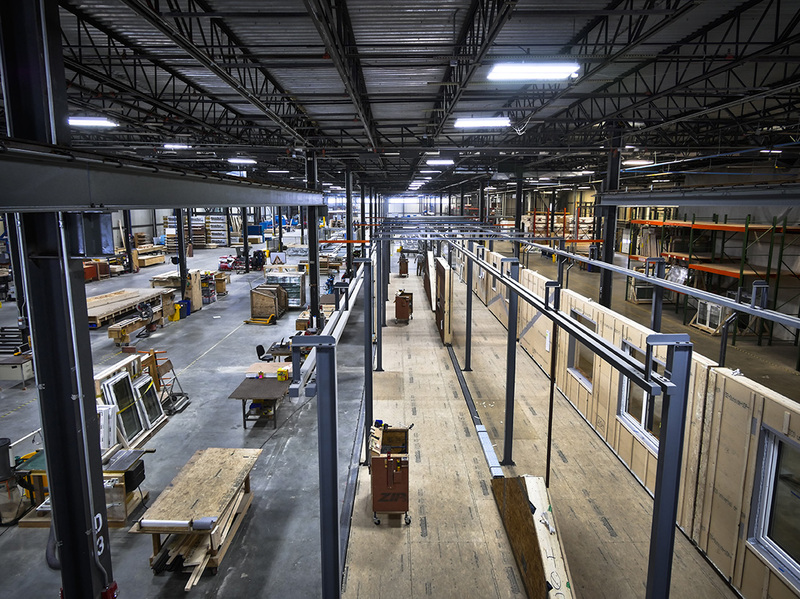 Offsite wood-based construction is moving home building into the factory. 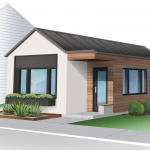 Thanks to advances in automation and design software, architects can create unique homes and input them into the factory system. 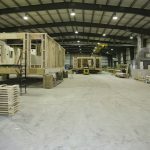 Roof, wall and floor elements are created precisely to plan, and then shipped to the building site where they are assembled. This vastly reduces build times, costs, pollution and waste and makes housing affordable. It also bypasses construction labor issues. Instead of needing a full crew to build your home, you now only need a skeleton crew to assemble the building elements on site. 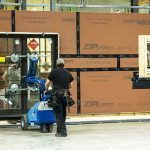 Some companies like BoKlok are building even more flexible houses in Norway, Sweden and Denmark. The flexibility here comes not only in the initial building design, but also in its interchangeability. That means your home’s building elements like walls floors and roofs can be altered even after your house has been constructed. Need another bedroom? Perhaps you can insert the loft element for more living space. The original design will have encompassed this option, so instead of breaking down walls, and weeks of disruption, you simply order the staircase and get a subcontractor to install it. Other options allow you to add rooms, floors and bathrooms seamlessly. Sidewalk Lab in Toronto is taking this concept even further. Their live and work spaces come with compatible wall units, so the housing spaces can be expanded or made into more, smaller apartments as the needs of the neighborhood change. Wall units can be replaced to turn commercial spaces into living spaces and vice versa according the tenant’s needs.